Point Six™ now offers a cloud based package of wireless temperature and humidity sensors combined with monitoring and reporting tools that protect your critical assets. Contact Dan Piroli at 404.834.8294 or dan@Pointsix.com for additional information. 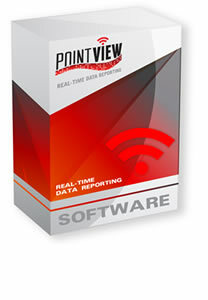 Targeted to businesses that want web access to their data, Point Six™ is proud to introduce our PointView®, cloud based, web services package. You can monitor your data, generate reports and get text alerts and alarms from any PC, tablet or smartphone that has internet access. Designed for customers who wish to host and maintain their own sensor data, PointView Historian™ is an SQL toolkit that enables organizations to receive sensor data directly into an SQL database. Advanced features enable the user to configure the sensors OTA (over-the-air) and extract log data in the event of a network outage. Features like alarm points, check in times and log intervals are all network accessible enabling you to change operating parameters based on the application.